This is part two in a series on home remodeling in Phoenix. Click here to read from part one. Beginning home remodeling in Phoenix is a big project and can cause homeowners a lot of stress. Proper planning can help avoid any issues and unexpected expenses down the road. To focus on the enjoyment of improvement your home instead of the hassles that might come with the project, here are some answers to some of the most commonly asked questions. What do you want versus what you need in home remodeling in Phoenix? It’s important to make a distinction between what you need and want. Then, you can prioritize if budget becomes an issue. The first step is to decide what it is you want to do and what changes you want to make. Next, have the entire household make lists of what they like and don’t like about the home. Once you have a comprehensive list of likes and dislikes, you can start to prioritize changes. Look at magazines and websites to get ideas. Watch some of the home improvement shows on Cable TV. Tons of resources exist to provide guidelines and ideas for every kind of home improvement project imaginable. Make sure you really think carefully about how you use your home. How exactly does each family member make use of your current space? How could this use be improved? You should consider things like traffic patterns, furniture placement, design schemes, lighting, special needs for family members and more. How should you plan for home remodeling in Phoenix? Once you’ve got your priority list, put everything on paper so you can more clearly envision your project. When your thoughts are formalized, you can communicate your desires to a remodeling contractor. With a formal list of what you want done, you can start to figure out how much it will cost versus how much money you have to spend. 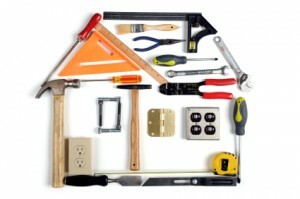 How can you play for home remodeling in Phoenix? If you can’t afford to pay for a remodeling project, the best planning doesn’t matter. Often, homeowners underestimate how much a certain project will cost. So, the first thing when deciding financing is to have a realistic idea of project cost. If you can afford to complete your project, you have several sources of financing. These include a home improvement loan, a home equity line of credit or a cash-out refinance from your bank or credit union. Another option is to use cash from your savings account. How can you find the most qualified home remodeling company? Although it seems obvious, you need to hire the contractor with the best track record and client references. Too often homeowners get persuaded by low prices. If you use price as your sole selection criteria, you risk not getting the best possible end result. The best selection criteria will always be contractor background, experience and references. Home remodeling in Phoenix can be exciting as well as exhausting. To limit stress as a result of your project, take the time to do the proper work before construction begins. Proper planning can help avoid any issues and unexpected expenses down the road. The only thing you’ll have to focus on is enjoying your new space! Contact Republic West Remodeling today to get your home remodeling project started!